Do not dwell on the things that are negative and troubling, but dwell on the daily benefits that I have loaded you with, says the LORD. 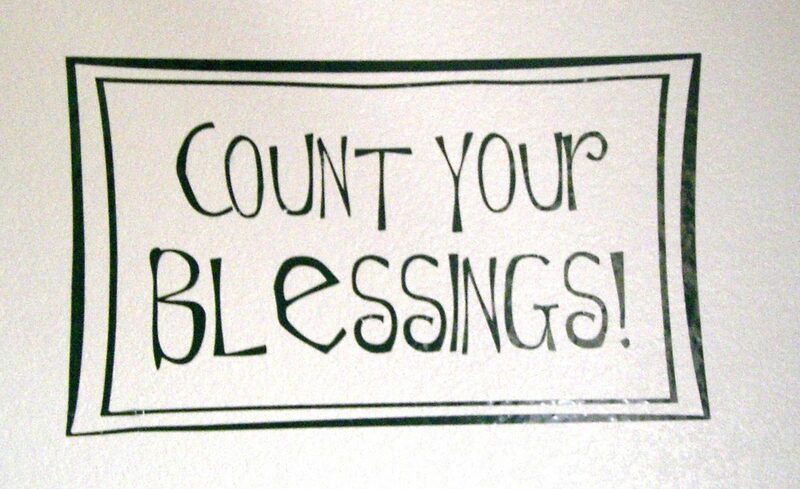 Yes, count your blessings rather than your difficulties. For the things I give you are constant, and My compassion and mercy for you is everlasting. You can never have difficulties that outweigh the blessings that I keep pouring out to you. As the manna was given to My people in the wilderness, so is My blessings upon you. There is never a day or night that you are void of My presence, and you are blessed coming in and going out, says the LORD. Stop asking yourself and others how you are going to be able to get through your present circumstances, says the LORD. Look back at where you have come from and the things that I HAVE already brought you through that you did not have the ability to manage. I gave you the strength to endure, and the ability to overcome. Do you think that it will be any different now? I do not pick and choose what I will deliver you from, for I said I will deliver the righteous out of ALL their afflictions. All means all, not some or most. Trust that I Am the one Who is your strength, and this too shall pass. You will overcome, and defeat the dark one, by My SPIRIT in you, and you will know Me as YOUR GOD, who is Faithful and True, says the LORD. Thank you Prophetic Light and thank you Jesus! Thank You, Lord, for Your CONSTANT & FOREVER CARE and Your freely given gift of GRACE rising out of the shed BLOOD of JESUS!!! THANK YOU MY FAITHFUL FATHER GOD, FOR YOUR WORD, SO SHALL IT BE UNTO ME & MY LOVED ONES, IN JESUS NAME, AMEN AND AMEN! Praise His Mighty Name! Praise His Mighty Heart Full Of Infinite Love and Compassion! Praise His Holy Name That Is and Was And Shall Ever Be!